This post contains affiliate links. When you click on one of the links and make a purchase, we receive a small monetary compensation at no extra cost to you. This is the second of a 3-part series on Freezer Cooking. I got hooked on freezer cooking a couple of years ago. While we don't eat the majority of our meals as freezer meals, I love counting on them at least once or twice a week as well as having a meal or two extra that's handy if I've forgotten to take something out. See the entire series here. Freezer meals can be a lifesaver for you, particularly during a busy week. It's a great way to put delicious, nutritious meals on the table with little effort. All of the effort is put forth once a month when you set a few hours aside to make up your meals for the upcoming month. It takes a bit to make putting the time aside a habit, but once you get started, it's something that will make it into your regular cooking repertoire. 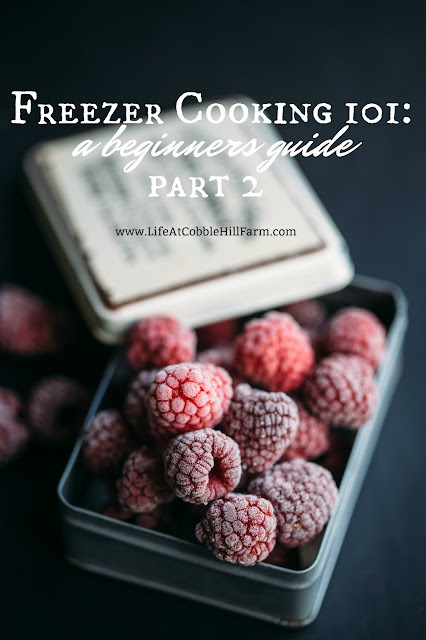 While Part 1 was an introduction to freezer cooking, part 2 is all about supplies and the basics of getting started. It's what you'll need to have on hand (or at least consider) and prepping instructions to start freezer cooking. You could certainly use glass or another pan/container you have on hand. Remember, however, that you'll be without that container until you make the freezer meal. - Items could get freezer burnt (you won't be able to wrap the food tightly) because of the airspace. - You can't transfer the freezer meal from freezer to oven or the glass/pyrex pan will break. - Food will expand in the freezer and the glass could break. - Freezer Tape (if you'll be using pans wrapped in foil or plastic. If you'll be using freezer bags only, this isn't necessary). - Plastic wrap (for wrapping items individually and/or for covering containers). 1. For monthly freezer prep, determine which freezer meals you'll be using for the next month and gather the recipes. 2. Before freezer meal prep day, go through the recipes you'll be making and do one grocery shopping trip. 3. On freezer meal prep day, gather all of your ingredients as well as freezer bags and/or containers. 4. Wash all prep tools between recipes and/or foods. 5. Refrigerate any pre-cooked foods/ingredients before freezing. Pre-cooked foods need to be completely cooled before freezing. 6. Label everything (for freezer bags, this is much easier to do before you fill them). - How to prepare once thawed. i.e. thaw in refrigerator overnight. Heat oven to 350 degrees F. Remove plastic wrap & bake 40 minutes. Top with 1 cup shredded cheddar, bake additional 20 minutes until hot & bubbly. i.e. Do NOT thaw before baking. Heat oven to 375 degrees F. Bake 30 minutes. - Date placed in freezer + use by date. - inventory list should include a note of any ingredients you will need to add for cooking and/or serving. This makes it super easy to create your shopping list that week when meal planning. - cut the recipe down, or conversely, double if needed. 9. When placing items in freezer bags, make sure you press out all air to prevent freezer burn. 10. When pouring marinade, sauce, etc. into a freezer bag, be careful to not get it on the seal. If you find freezer meals helpful, you may consider bag stands. 11. If sauce will be added after cooking other items (meat, veggies, etc. ), place sauce ingredients in a separate bag/container and either add to the main bag/container, or add a note on the outside so you remember the sauce is frozen separately. 12. To freeze individual veggies (so they don't create a large veggie block), flash freeze dried/drained veggies on parchment or freezer paper lined cookie sheet. 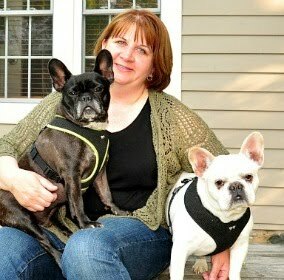 Once frozen solid, they can be added to the freezer bag/container and put back in the freezer. 13. We use all of our freezer meals within 30 days. 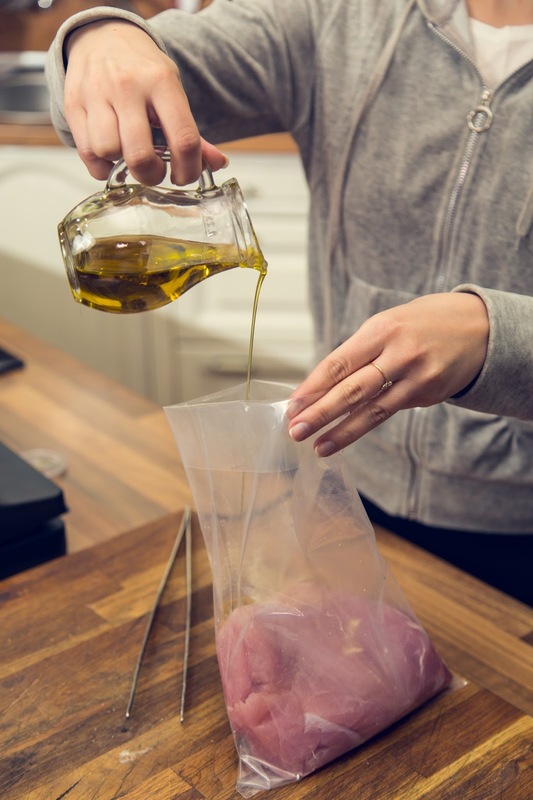 For longer storage, you should consider a vacuum sealing machine to prevent freezer burn. 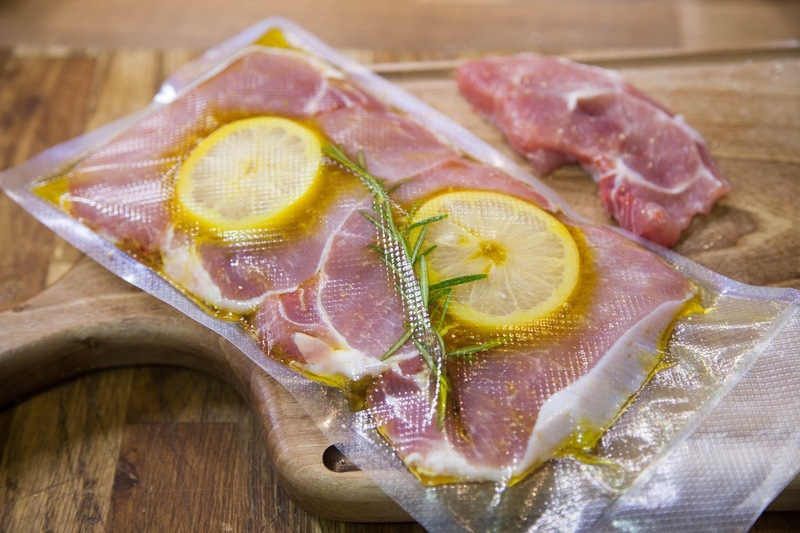 We LOVE our vacuum sealer and use it for everything from meat, marinated meat, to nuts, to cheeses and chocolate. 14. When placing freezer bags in the freezer to freeze the meals, I like to lay them flat on a cookie sheet until frozen. This way, they freeze flat enough to stack nicely with the other freezer meals. 15. When defrosting meals/items with liquid, defrost in a bowl or pan with a lip just in case you have any leakage. Have you tried freezer meals? I would love to hear your thoughts and tips!! The third freezer cooking post in this series will provide recipes/instructions for some basic items you can prepare to get your toes wet. Before you know it, you’ll be hooked! I would love to see this step-by-step from start to finish for one of your favorite meals. I am hesitant to purchase another gadget with which to seal correctly. Any alternatives to the sealing systems? Hi Daisy - I hear ya. I'm not a fan of owning a ton of gadgets either. The only reason we purchased ours was because we tend to buy quite a bit of meat in bulk when we can find it on sale. The vacuum sealer allows us to keep meat for a year or so without any compromise on the quality. Honestly, if you'll eat up the freezer meals in 30-45 days, and meat within 6 months, as long as you get as much air out as possible, you should be fine. I hope this helps! !